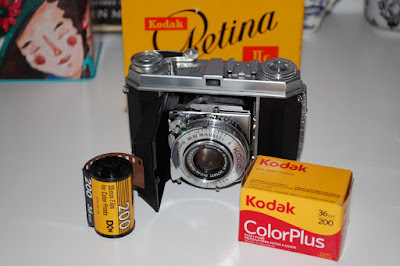 MIND JACKER: The Kodak Days! 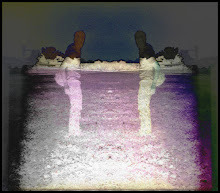 - The cameras. 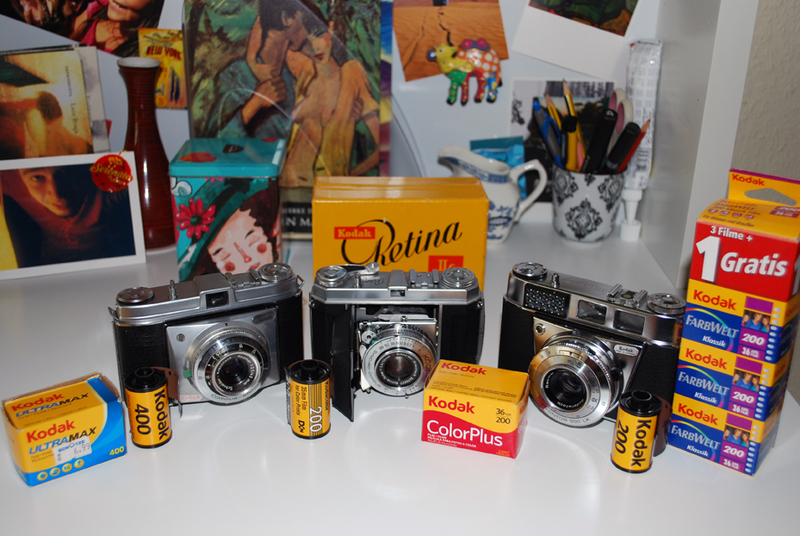 In the last days of summer I used the three old German Kodak cameras from my girlfriend. The German Kodak cameras are wonderful and have got a high quality. 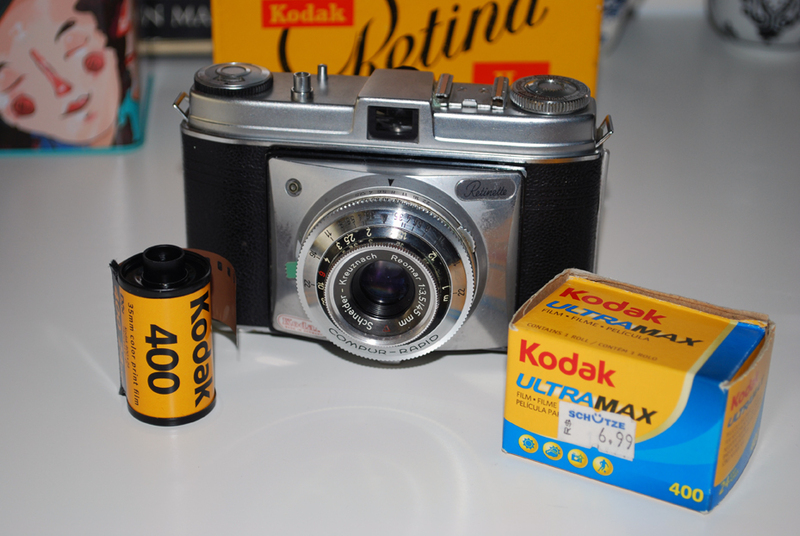 Of course, I just used Kodak films with the cameras. The Kodak Retina Ia (Type 015) was built in a number from 137,000 pieces from 1951-54 in W.-Germany. The price was in W.-Germany 218 DM. The lens is a Schneider Kreuznach Xenar 2.8/50mm and the shutter is a Synchro-Compur. See more pictures of the Retina here! I used a since 12/2015 expired Kodak Color+ 200, which I've bought in Brazil, with the Retina. The Kodak Retinette (Type 022) was built in a number from 238,000 pieces from 1954-58 in W.-Germany. The price was in W.-Germany 118 DM. The lens is a Schneider Kreuznach Reomar 3.5/45mm and the shutter is a Compur-Rapid. See more pictures of the Retinette here! 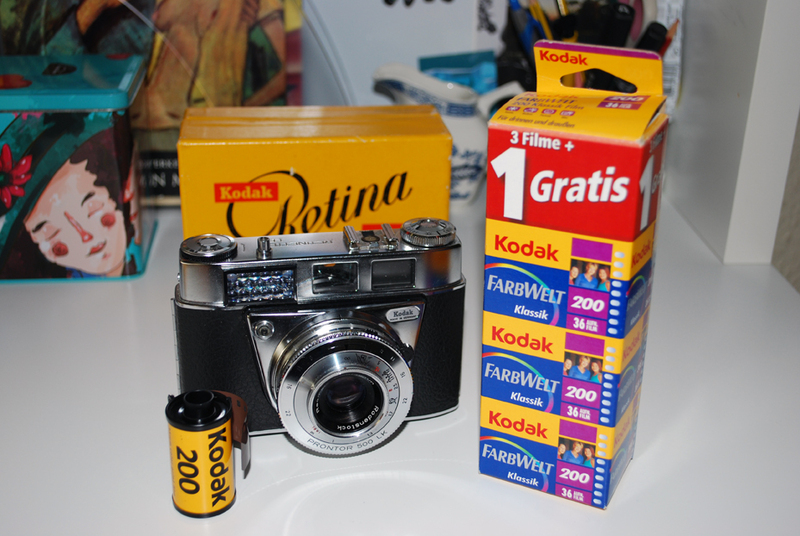 I used a since 05/2012 expired Kodak Ultramax 400, which I've bought in Brazil, with the Retinette. The Kodak Retinette IB (Type 045) was built in a number from 258,000 pieces from 1963-66 in W.-Germany. The price was in W.-Germany 218 DM. The lens is a Rodenstock Reomar 2.8/45mm and the shutter is a Prontor 500LK. I used a since 11/2000 expired Kodak Farbwelt 200 with the Retinette. 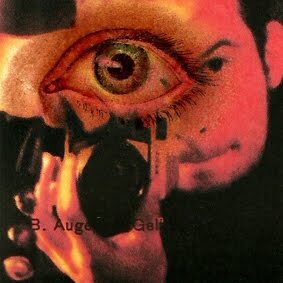 The infos about the cameras are from the book "Zauber der Kamera - Beispiele aus dem Kodak-Nagel-Werk" by Helmut Nagel, from the year 1977, published by Deutsche Verlags-Anstalt GmbH, Stuttgart.